Home Trending Chinese Trade War: How will American Businesses and Consumers be Impacted? Chinese Trade War: How will American Businesses and Consumers be Impacted? President Donald Trump officially began the trade war with China and imposed 25% tariffs on $34 billion worth of Chinese imports, as of June, 15th. 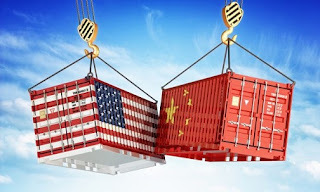 These tariffs primarily target products from the industrial sector, which include industries such as industrial machinery, new materials, aerospace, information and communications technology, robotics and automobiles. Trump’s latest round of tariffs include a 10% duty until the start of 2019, when the tariffs will jump to 25% on $200 billion worth of Chinese goods that now include everyday consumer goods. This means that Trump has already taxed nearly half of all Chinese imports coming into the United States. The purpose of these tariffs are to pressure China to change trade practices that Donald Trump believes are hurting American businesses. However, the big questions is how will these tariffs impact American business and consumers today? Well, working within the supply chain sector specifically on a number of MRO sourcing projects that include Industrial Supplies and Hardware, Electrical Supplies and Pneumatics and Power Transmission, I can say that large vendors have already notified customers of manufacturer increases that will need to be passed down. In fact, many manufacturers have warned that the new tariffs could hurt their profits, hiring and overall growth. These manufacturers will need to find ways to offset the cost of these increases, and many will be forced to cut jobs, and stop future investments on capital purchases. If a manufacturer increase does arise, ensure that your vendor is communicating this to you ahead of time and providing a direct letter from the manufacturer stating which items will be part of the increase and what the increase percentage is. This will ensure that any price increase that is implemented is in fact due to a manufacturer price increase and will give your organization time to prepare for the added cost. Ensure that a contract is in place with large spend vendors that includes a pricing exhibit, where vendors agree to keep the markup percentage fixed during the term of the contract. This is important because it will ensure that pricing on core products will not increase, unless it is due to a manufacturer increase. Vendors will be willing to agree to fixed pricing, in return of a longer term contract agreement. As part of the contract, each vendor should provide a pricing calculation on how they will be passing down manufacturer increases with the specific index the vendor follows. This is important because it will clearly outline how price increases are being implemented and it will ensure that all pricing increases are fair with no additional hidden costs. The Chinese tariffs are impacting both consumers, and all types of American businesses from manufacturers to distributors, and any businesses that are purchasing these goods in order to run their operations. These tariffs may continue, or even rise if China and the United States do not come to an agreement. This will in result only led to higher price increases on Chinese imported goods.